As expected, the new Mercedes S-Class will feature pop-out electronic door handles. This isn’t the first time a prototype of the all-new 2020 Mercedes S-Class has been spotted undergoing testing, but these new spy shots provide our most revealing look yet at the automaker’s new flagship sedan. While previous prototypes have had heavy plastic parts under the camo foil to disguise its shape, these have been removed meaning the car is now only covered by camouflage foil, revealing the sedan’s sleek silhouette. While there is still a plastic cover over the grille, we now have a clear idea of how the new S-Class will look. At the front, the new S-Class adopts full matrix LED headlights at the front, while the design of the rear lights resembles those found on the new CLS. They also feature moving indicators like most Audi models. We can also now see the new S-Class will have pop-out electronic door handles like on the Range Rover Velar, giving the sedan a stylish profile. Inside, the revamped S-Class will be dominated by a large Tesla-style portrait screen in the center control that will control most features. A separate widescreen will act as the digital instrument cluster. When it goes on sale, the new S-Class will be technologically advanced and feature hands-free Level 3 autonomous tech, which is a step up from the Level 2 technology offered in Tesla’s autopilot and Cadillac’s Super Cruise. 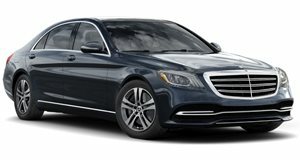 For the first time, the combustion-powered S-Class will only be offered with hybrid powertrains using the automaker’s latest 3.0-liter and 2.9-liter straight-six gasoline and diesel engines. The PHEV versions are expected to offer all-electric driving ranges of up to 62 miles. There will also be an all-electric version reportedly called the EQ S that will be based on a new MEA platform and act as the flagship model for Mercedes’ new EQ electric sub-brand. The all-new Mercedes S-Class is expected to debut sometime next year.